Malloy Esposito Crematory & Funeral Home. Affordable Cremations & Burials Lakewood OH. On the border of Lakewood OH., on W 117th St., Malloy Esposito Crematory & Funeral Home has been providing affordable cremations & burials for Lakewood residents since 1977. We offer Lakewood residents an affordable alternative to expensive traditional funeral homes by providing direct low cost cremations and funeral services. For over 36 years, Lakewood area residents, families, and veterans have come to Malloy for fair, simple, compassionate and inexpensive cremations and burials. We believe in educating the consumer, which is why we tell you our price up-front, hopefully simplifying the process and helping you to understand what sets us apart. 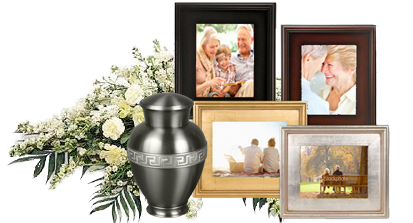 Our on-site crematory, inexpensive caskets, urns, and our unprecedented commitment to service ensures that you get exceptional value for the best price. We encourage you browse our site, get a quote, educate yourself and call us to ask any questions, we are available 24 hours a day. Lakewood, Ohio — Vernon B. Stouffer, owned a national chain of restaurants, motor inns, and food-service operations and the Cleveland Indians from 1966-72. He played a key part in developing frozen foods and microwavable foods. His company Stouffer's was valued at $21.5 million when it was merged with Litton Industries in a stock for stock trade in 1967. Vernon Stouffer pioneered the frozen food industry. Stouffer graduated from The Wharton School in 1923. Stouffer was also the owner of the baseball team, the Cleveland Indians. He first got involved as an investor in the team that was not doing so well in 1964 when it appeared that the team might move to Seattle, hopeful that he could help keep the team in Cleveland. In 1966 he bought 80 percent of the team for $8M, borrowing $2.5M. He retained Gabe Paul as president and hired Hank Peters to run the minor league farm system. Stouffer's deep pockets became depleted when Litton's stock lost over half of its value in early 1968 and Stouffer had trouble paying back the note due to the Indians' poor on field performance and accompanying low attendance. Stouffer was forced to cut the team's player development budget severely, which hampered the team's performance for years to come, over Peters' and Paul's objections. In 1968 Stouffer made what turned out to be another poor decision, vesting field manager Alvin Dark with the additional duties of general manager, which turned out to be an unworkable situation. By 1970 the Indians were still losing money and were attracting attention from other cities seeking teams, including Dallas and New Orleans. Stouffer negotiated a deal to sell twenty-five percent of the team to New Orleans' investors for $2.5M and to have the Indians play 30 home games per year in the Superdome starting in 1974, however, the American League rejected the arrangement. In 1971 Stouffer rejected an offer of $8.6M for the team from a group headed by George Steinbrenner, believing it to be a lowball offer since New Orleans' previous offer was greater, percentage-wise. Stouffer sold the team in 1972 to a group headed by Nick Mileti for $10M.